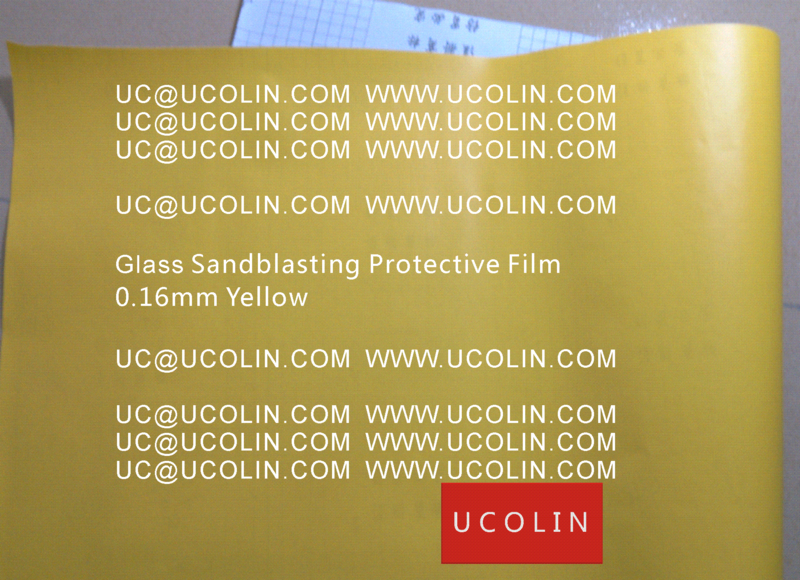 UCOLIN Sandblasting Protective Film is made from polyvinyl chloride as backing material, and coated with rubber pressure-sensitive adhesive. 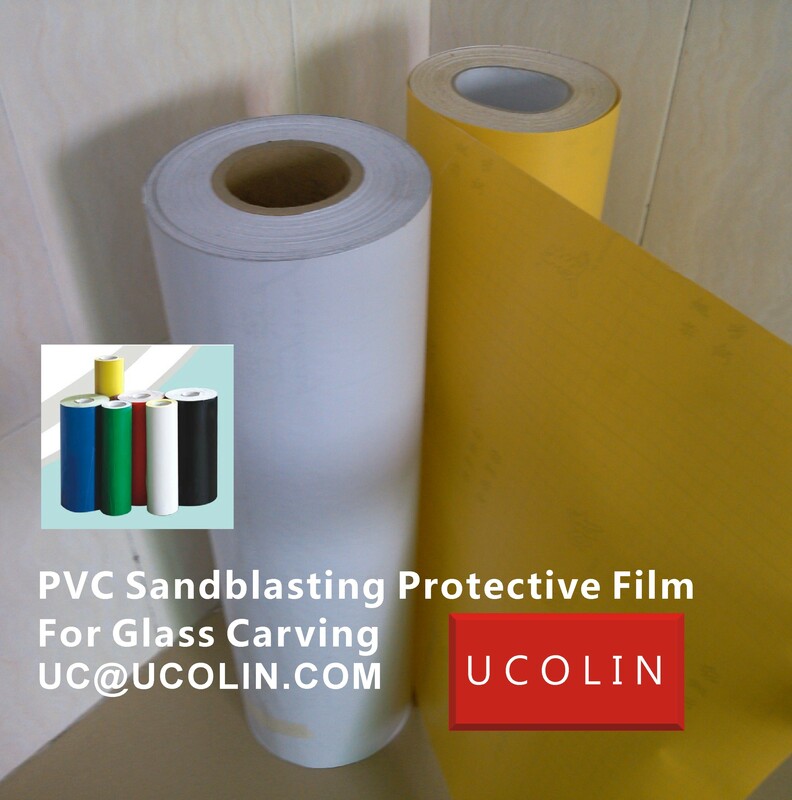 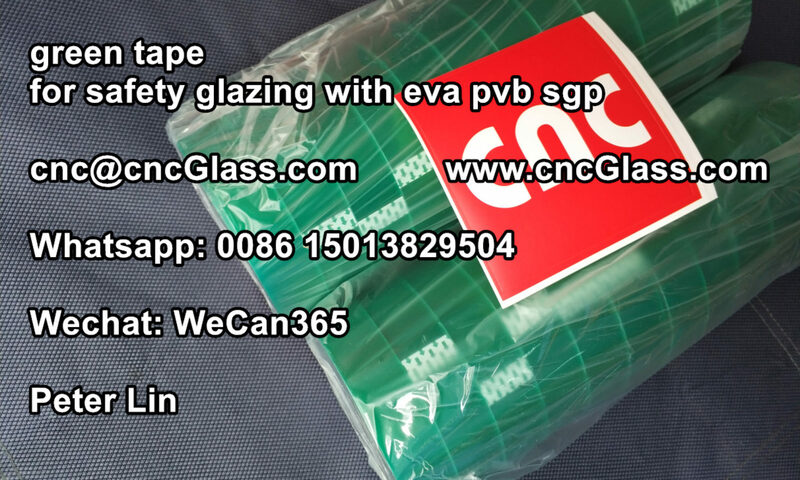 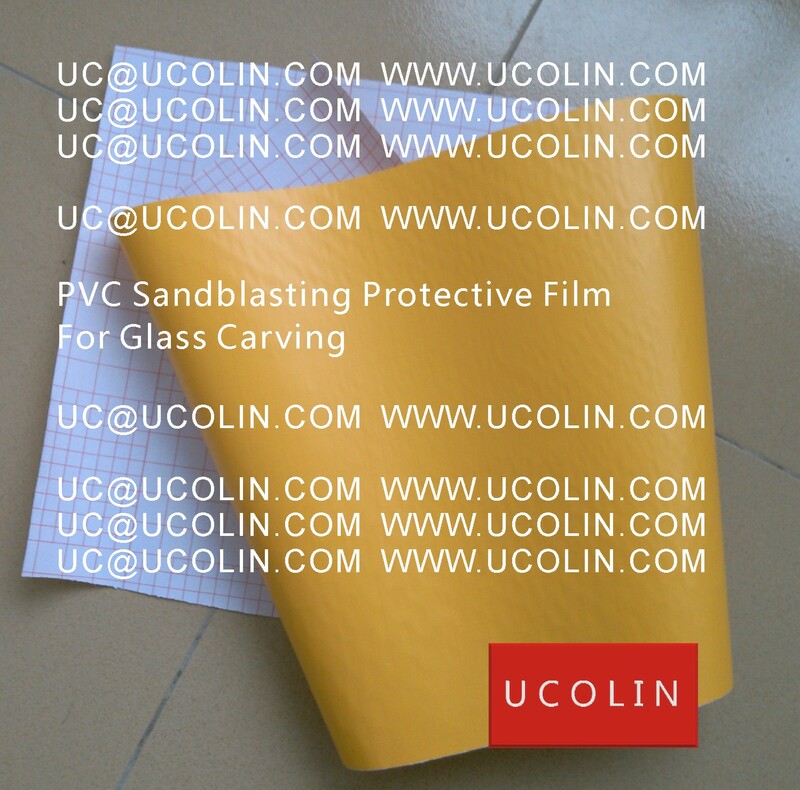 Owning excellent insulation, good viscosity, high-tensile, burn-resistance, cold-resistance excellent properties, makes UCOLIN Sandblasting Protective Film suitable for sand blasting, glass engraving, the light spraying, deep carving, stone carving, tile carving, etc. 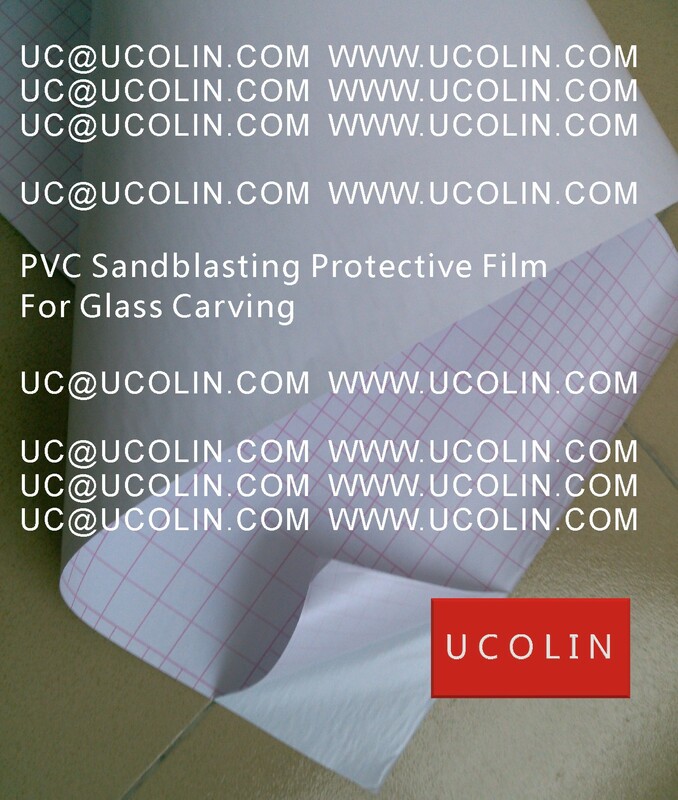 • The required design is traced out on the PVC. 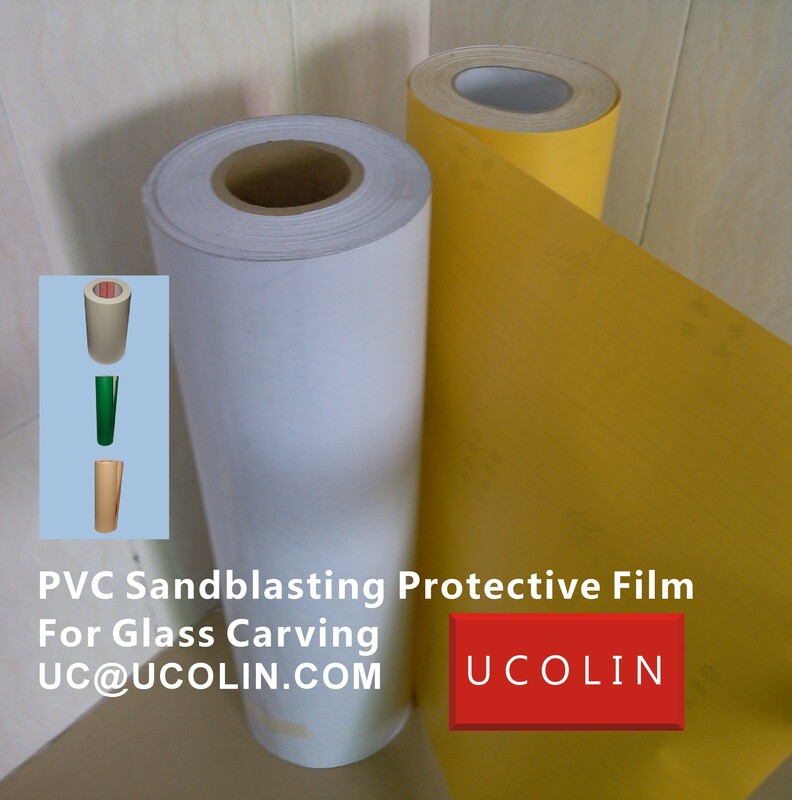 • The area to be sandblasted is cut and removed. 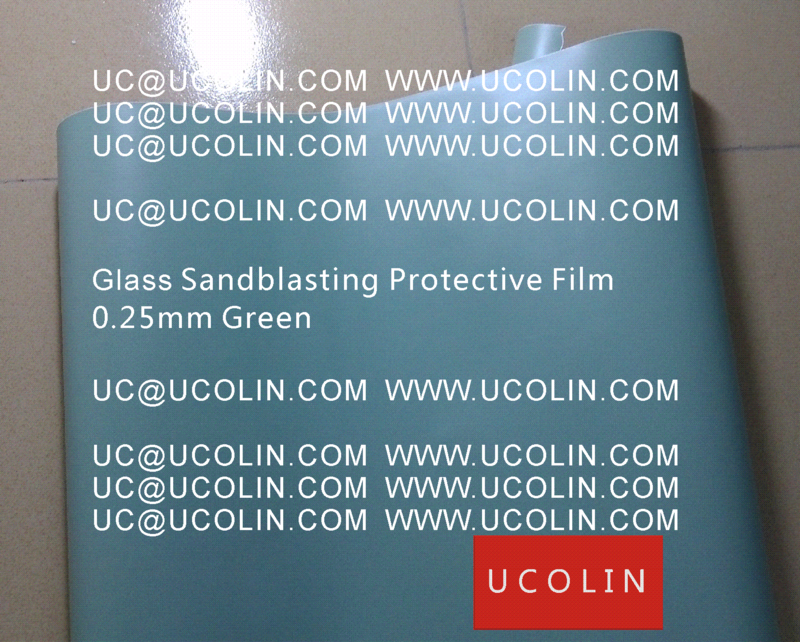 • The exposed areas are sandblasted. 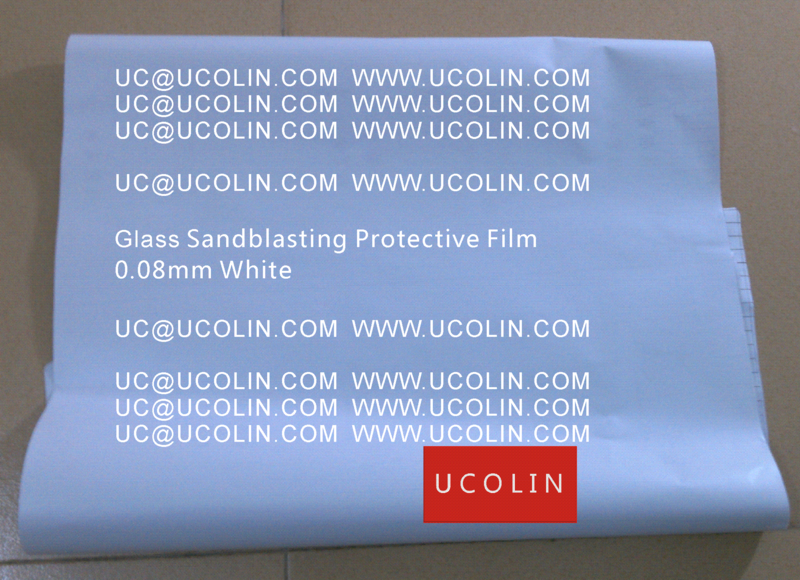 • The remaining film is removed from the glass surface.